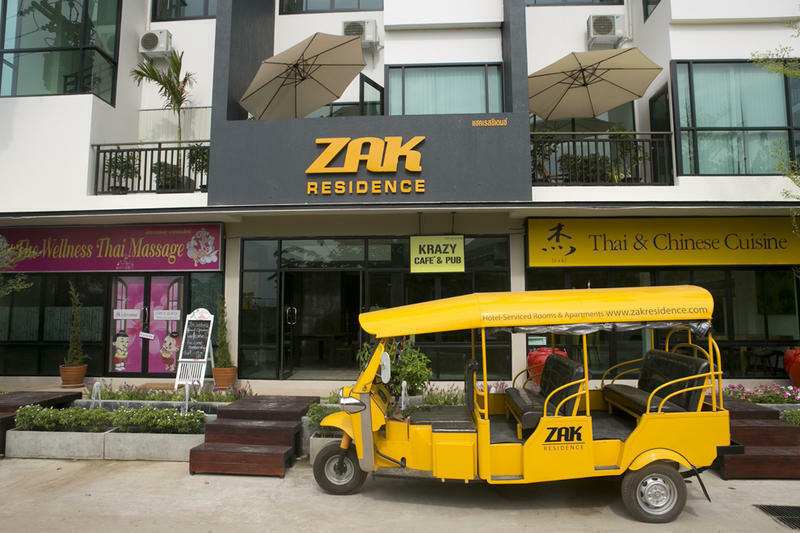 Zak Residence is the perfect place for the traveler who wants to do more than the mainstream touristy activities. It's a place to get to know the locals, make new friends and experience the local culture. Located in a charming town just minutes away from the ancient city, you are never too far away from the action yet you get to enjoy the authentic charm of Thai hospitality. Here, not only do you enjoy proximity to modern comforts such as shopping malls, banks and cafes, you also get to savor the charm of the local bohemian lifestyle. You are surrounded by a labyrinth of lanes, quaint and narrow, with shops, restaurants and markets serving the local community. The delightful part, no English is spoken on these streets. You get by with hand gestures and a warm smile. Your ways of communicating with the locals will create lasting memories of your stay here. Several room types are obtainable for accommodation choice. The guestrooms feature flat screen TV with cable channels, air-conditioner, mini firdge, electrict kettle and private bathroom with shampoo and body wash.
After check in, you can enjoy a range of thoughtful services we offered. Tours, taxies and shuttle bus are available. All are aimed at making your stay in Chiang Mai a memorable one. We are near Big C Extra. When driving along superhighway, pass Big C Extra and turn left after Muang Thai Life Insurance. We are at the end of the road.